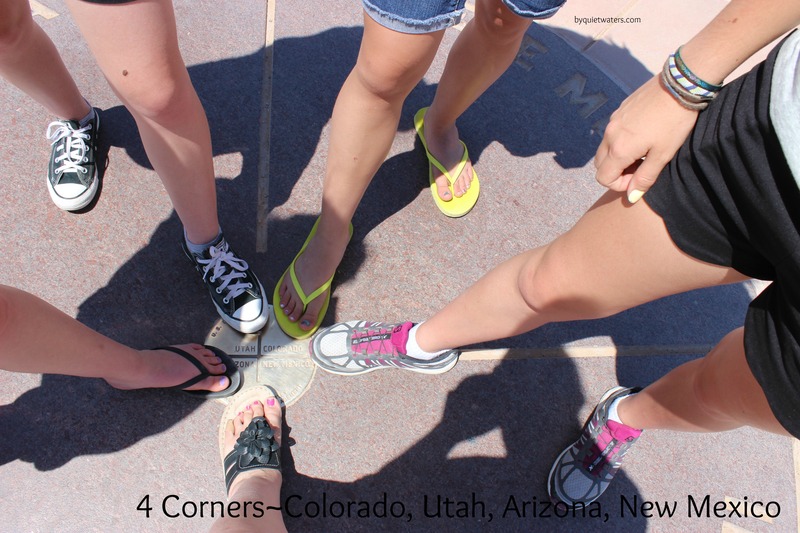 Funny thing about all this planning, the kids seemed most excited to go to 4 Corners! We had a great time, and as I continue to process all that we experienced, and all that I saw and heard, I’ve decided to do some processing by writing. Over the next while I’ll be writing a small series of letters to our Compassion sponsored children about the geography, people and wildlife of the area we traveled through. 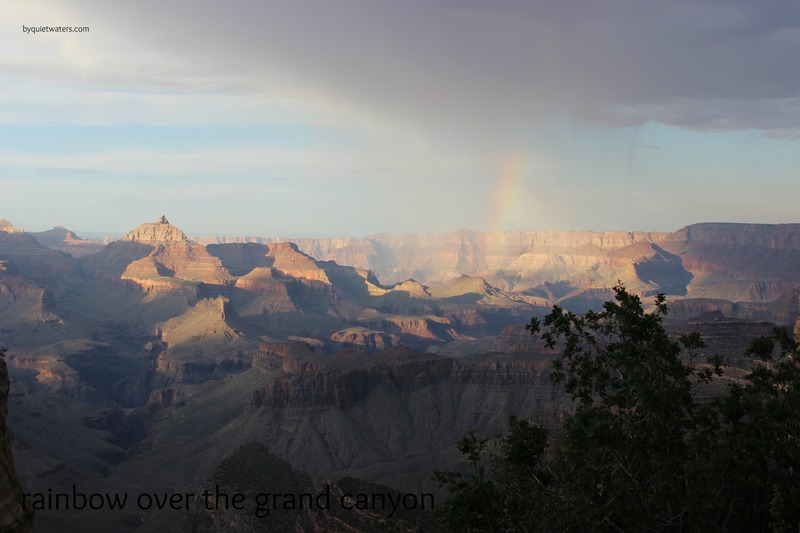 In this post I’m including the first letter, about the Grand Canyon. With this letter I included a postcard from the Grand Canyon and a coloring page for each child. Greetings in the name of Jesus. It is a joy to have this opportunity to write a letter to you. I hope that you and your family are healthy and strong, and full of the joy of the Lord. History and geography are two subjects I enjoy a great deal and I am always looking for opportunities to learn more about places and the people who live there. I want to tell you about a beautiful place that I went to this summer, and about the people who used to live there. In June I had the opportunity to travel to the Grand Canyon in Arizona with my 3 youngest children and our foreign exchange student, Lea. Lea is from France and is staying in our home this summer. We traveled across southern Colorado and northern Arizona to get to the Grand Canyon. It certainly is grand! The Grand Canyon is 5280 feet deep, 1.6 kilometers! I was amazed, standing on the edge of the rim, and seeing all the colors of the canyon walls. The colors are red, pink, white, green and gray. The Colorado River runs through the bottom of the Grand Canyon, it is 2,334 kilometers long and is a major water source for several states. Rattlesnakes, bighorn sheep, mountain lions and elk live in the area. We were able to see a Mother Elk with her young calf during our visit. The calf was young and still had its spots. The people who originally lived in the Grand Canyon are called the Ancestral Puebloan. They were builders with stone, and lived mostly in the lower areas of the canyon near the water. These people were farmers, masonry architects, makers of pottery and baskets. These people also lived in Colorado and New Mexico. Now the people who live in the area of the Grand Canyon include people of the Navajo and Hopi Native American tribes. With this letter I am including a post card that I purchased for you. It has a little more information. I hope this letter has been interesting to you. Please write to me and tell me about the places in your home country or region that you find interesting. With much love for you. I hope that this letter might inspire you to write your sponsored children today, share something interesting for their minds to think on, share some hope. You can read a little on why our family sponsors children here.If you would like more information on sponsoring a child through Compassion International, visit their site here. How fun! And what a great letter idea!